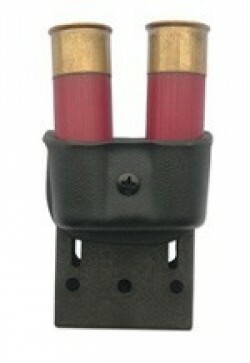 Spare shotgun shells are bulky and hard to have at the ready. Low profiled for postive gripping of shells, this pouch holds two 12 gauge shotgun shells. Great tactical reload with a pump action or a speed load with a double! Comes with our Tek-Lok, providing easy belt placement and removal.